This is a scheduled entry in anticipation of the New iPad (iPad 3) launching date in Malaysia. As what came out in the mainstream media, launching of the New iPad in Malaysia is Friday, 20th April 2012. Based on historical data of its pricing and referring to US and Singapore prices the followings are probable price structure for the new iPad. 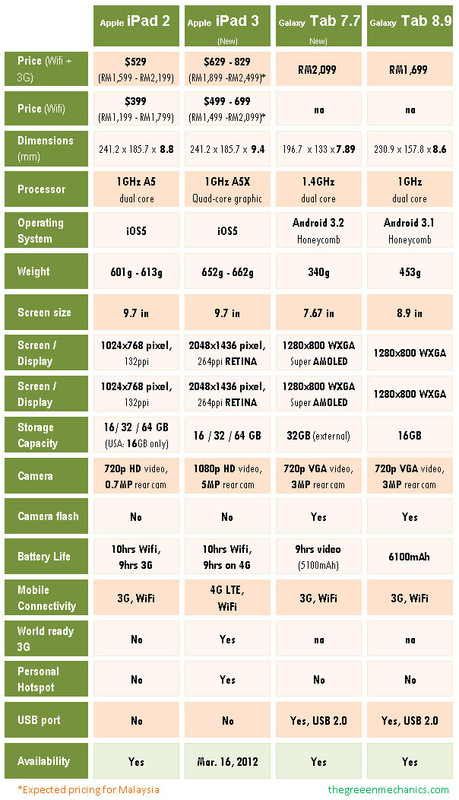 I stick to my earlier comparison and estimates in the previous article about the new iPad.